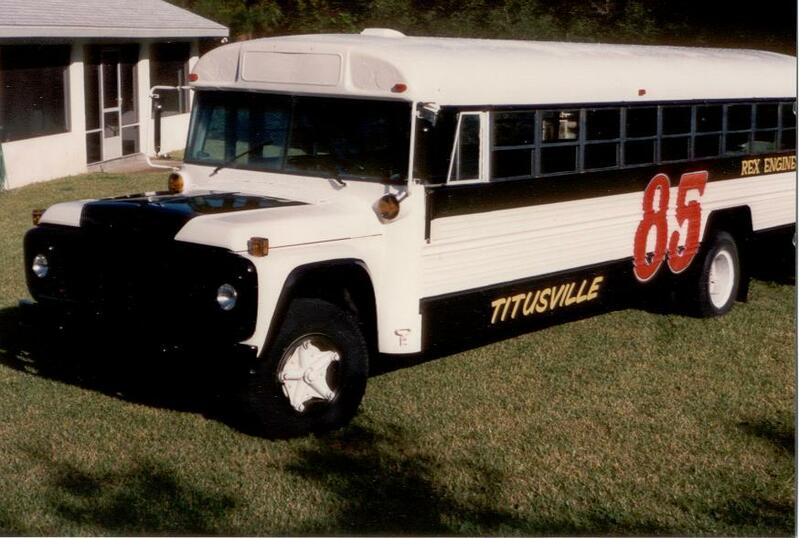 This was my Figure "8" racing bus. 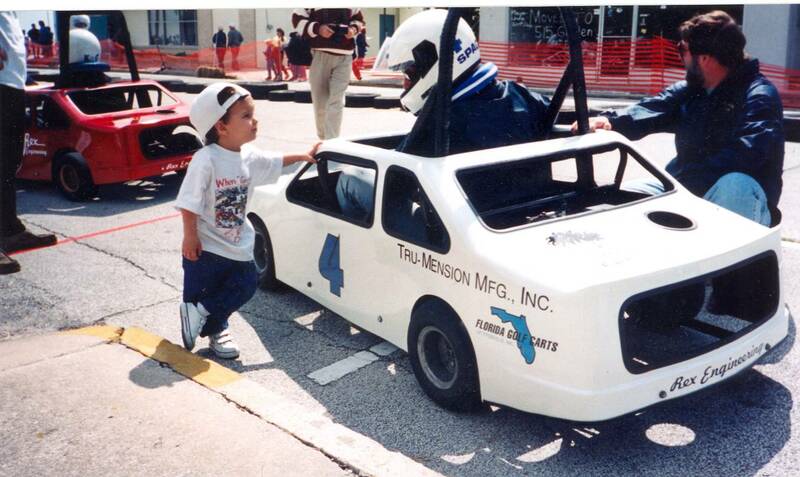 I ran this at Orlando Speedworld in 1994 after driving it to the track. I drove the thing home too! I fugure if I got away with it once, I won't try it again. The race was great! I led part of it, but ended up second. I won $450, which for many years was the most money I had ever picked up racing. There were 17 busses that night, and 3 of them flipped. In December, I decorated this bus and entered it in the Titusville Christmas parade, then sold it. 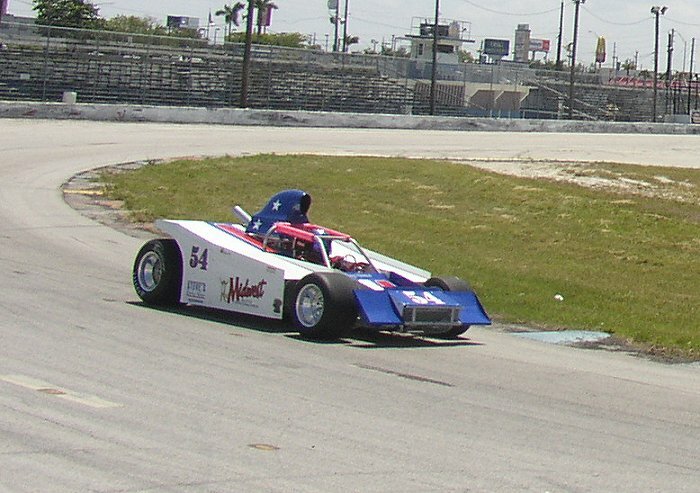 In 2003, I drove several months at New Smyrna in my friends Tim and Donna McPhail's car. 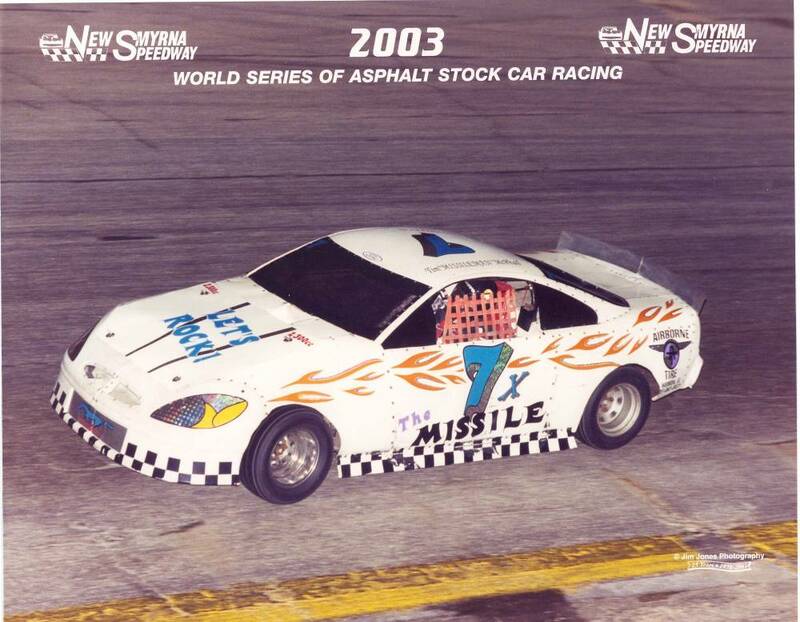 Tim drove "The Missile" is to the track championship at Orlando on Friday night, and then ran his newer car at NSS. This was not my car, but I got to race against it. 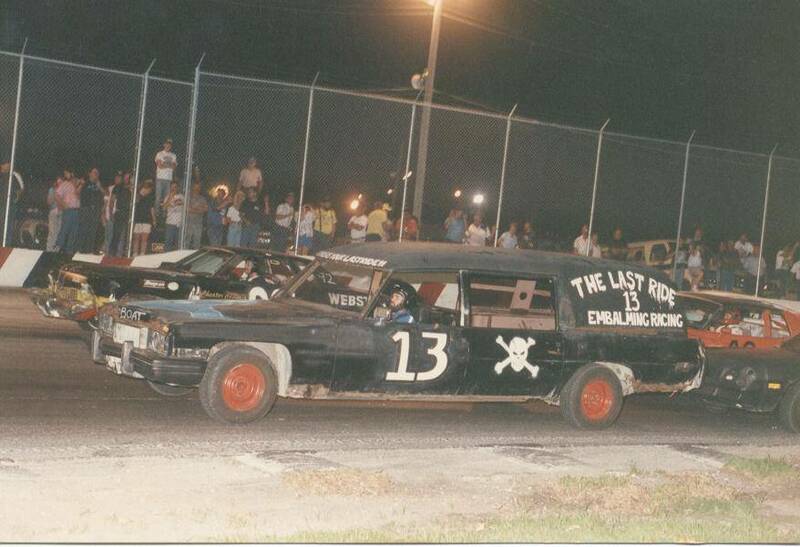 "The Last Ride" ran several of the enduros at Hialeah in the early 1990's. It went surprisingly well for such a big, heavy tank. 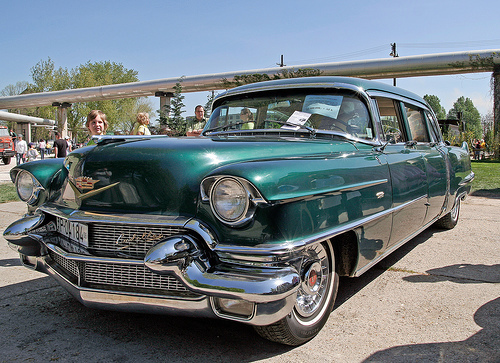 This car had character. It was industructable, never broke and won a bunch at Orange County. 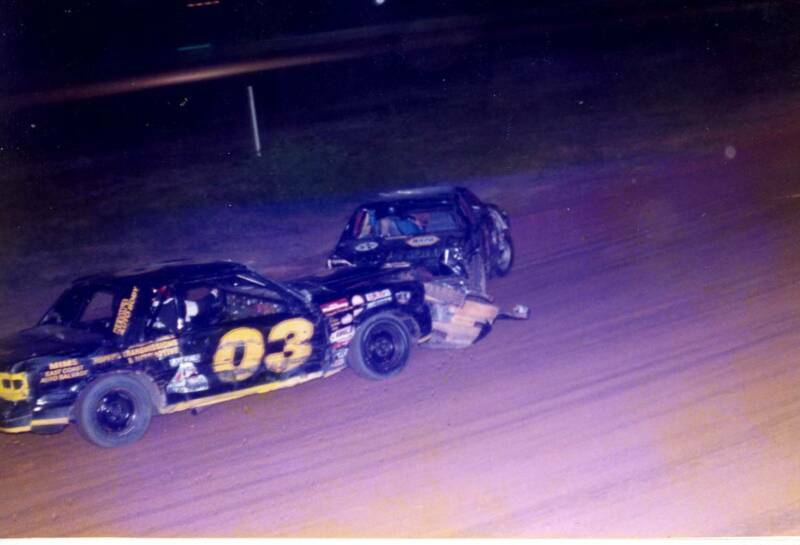 But I seemed to bend alot of stuff every time I raced at Volusia. One of my all-time favorite pictures! I took this of my oldest son Michael when he was 2 1/2. We were in a charity go-kart race, the "Titusville 500". It looks like my boy is asking "so how is it running?" This is one of the most interesting racecars you will ever see. It is my brother's 4WD supermodified. It was 30+ years old when he rescued it from a barn and restored it to race condition. 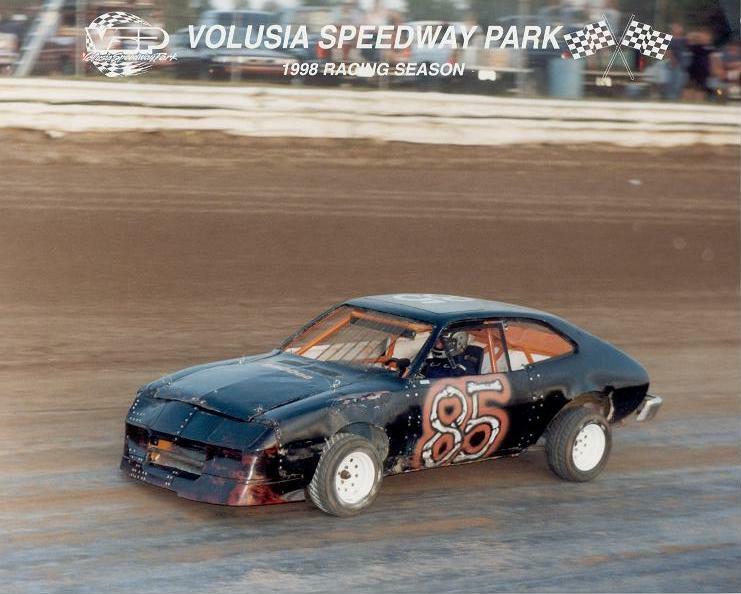 This car was so fast in its day that it was outlawed, but not before it won a bunch of races and set the all-time track record at Palm Beach Fairgrounds Speedway. He has raced it twice at Oswego Speedway in their annual "Open Competition" races in 2004 and 2005. This car should have a site all its own! 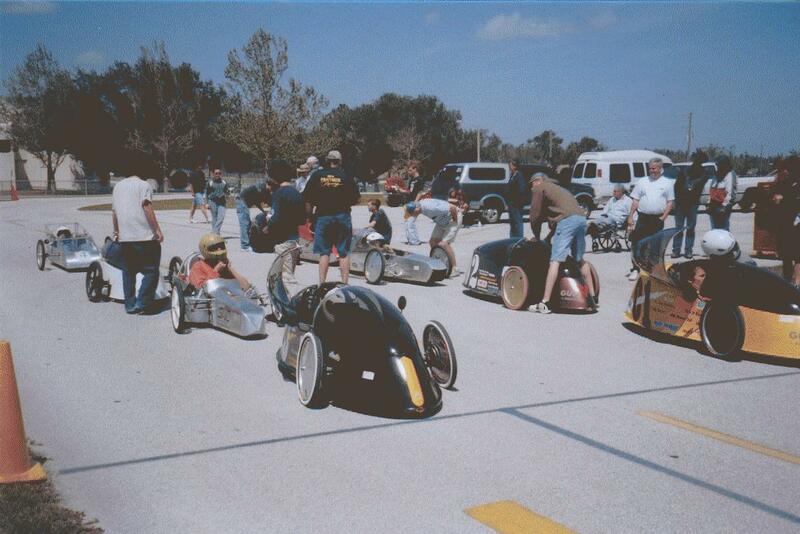 This is the grid for an "Electrathon" race that was held here at Astronaut High School in my home town of Titusville. The race was run on a 1/4 mile paved running track. After one hour of competition, it came down to a wheel-to-wheel dual for the win! Another victory in the "Women's Run-What-Ya-Brung"! This was a 10 lap race for street cars that were driven to the track. 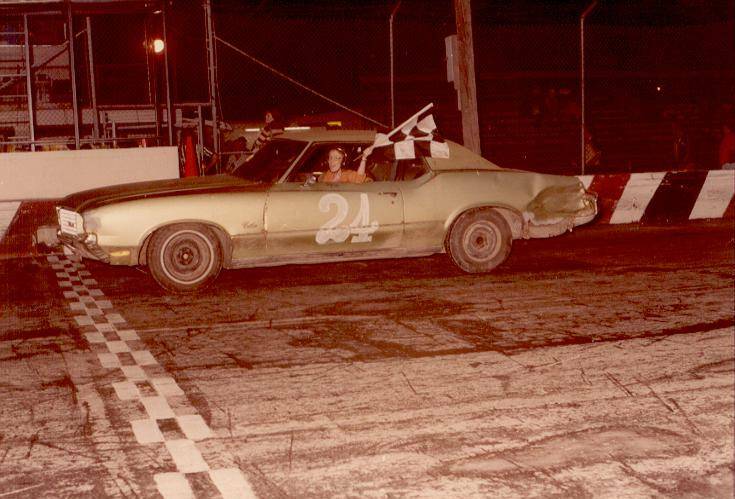 Here is my sister parked in victory circle after winning in my $100 Oldsmobile. This was her first race! "Hammerin' Harley' Morgan in action, October 1995! This was such a fun night: it was my first time on dirt with my new car, and my buddy Harley drove this 03 which was owned by another friend, Mike McDougall. This is pretty much how Harley spent the whole night: mixing things up and getting sent to the rear of the field. As best we can remember, he got put back 3 times that night! Harley claimed he was just "tippy-toeing" past these guys! What a blast, we ended up in the Waffle House eating and laughing until really late. Ok, go ahead and laugh. 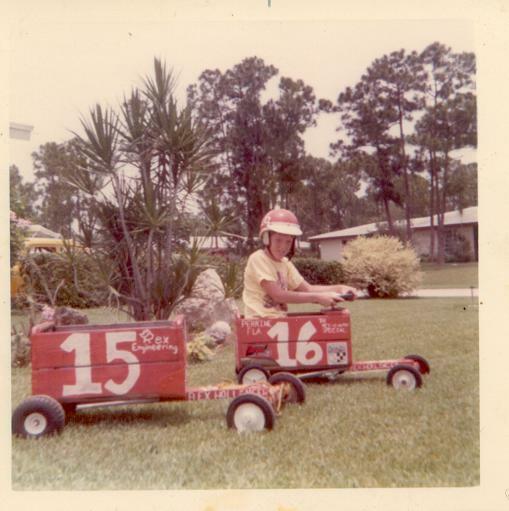 This is what the kids raced at Florida City Speedway in the early '70's. There was a one lap "push-car" race during intermission. Each car had two pushers: one started the race, and the other took over after half a lap. Note the spiffy helmet I had, and the realistic conduit header pipes!